My grandfather's axe when he was a scout leader in the '40's, my father's axe when he was a scout leader in the '60's, I'm in the process of refurbishing to pass on to my nephew. Cool....looks like it may not need much. Looks like the one I have......do you still have the sheath? It may be buried in the garage somewhere, but I dont recall seeing it since I was in high school back in the '80's, so not much hope there. 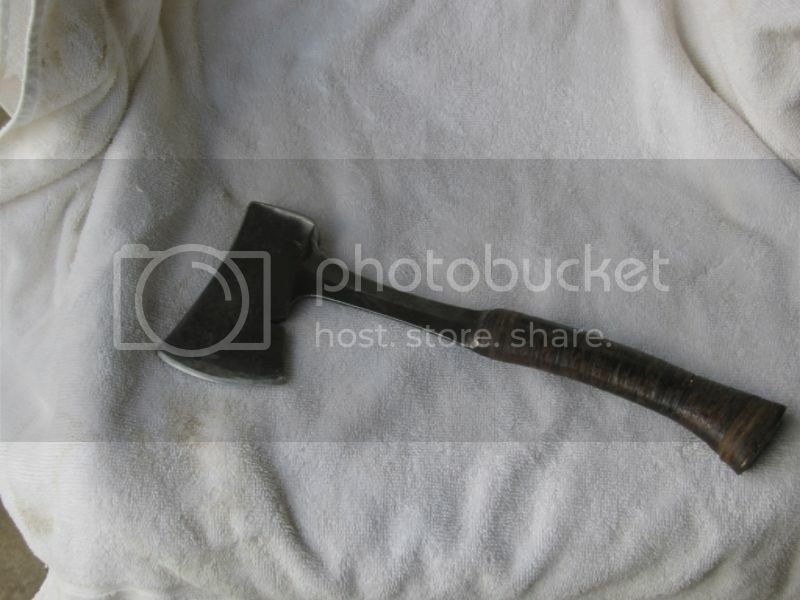 I have two of the Estwing rock hammers that date from my fathers college days in late 50s too. The poll was badly mushroomed, and the back of the steel part of the handle looked like it had been batoned with a hammer, there has been a lot of filing already to get it looking like it does now. I suspect a lot of scouts used it to hammer metal tent pegs, with overstrikes onto the handle. I bet it is still a great tool. Not much has changed about them in a long time. Keep it in action! That should make it easy. At least the handle is good. What have you got the small and large rock hammers? Not sure if there are more than two. Lotta life left in that old hatchet and you can't buy the memories. Good stuff!